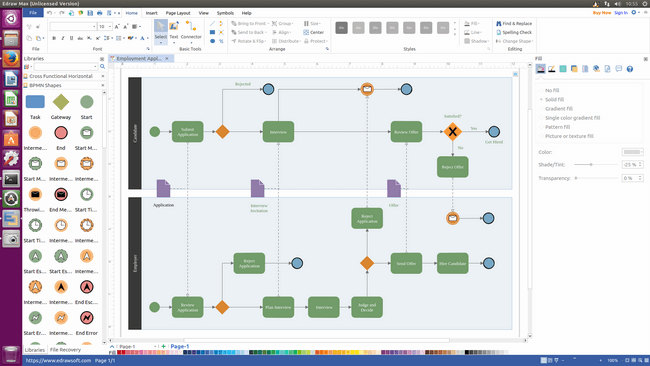 Edraw Linux BPMN diagram software is an ideal and awesome program for creating a variety of professional BPMN diagrams. Business Process Model and Notation (BPMN) is a graphical representation for specifying business processes in a business process model. It provides businesses with the capability of understanding their internal business procedures and gives organizations the ability to communicate these procedures in a standard manner. Edraw Linux BPMN diagram software is particularly designed for users who usually work on Linux. It is such an easy-to-use software that provides abundant BPMN shapes and templates to help users get started quickly. 1. Cheap price with lifetime upgrade guarantee makes users’ money well spent. 2. It simplifies the BPMN drawing process by providing a mass of editable BPMN shapes and templates. 3. Do not worry about if users aren’t satisfied with built-in shapes because Edraw has prepared a set of drawing tools in advance. 4. Various attachments and hyperlinks insertion enriches the diagram contents and enables audience to have a better visual experience. 5. 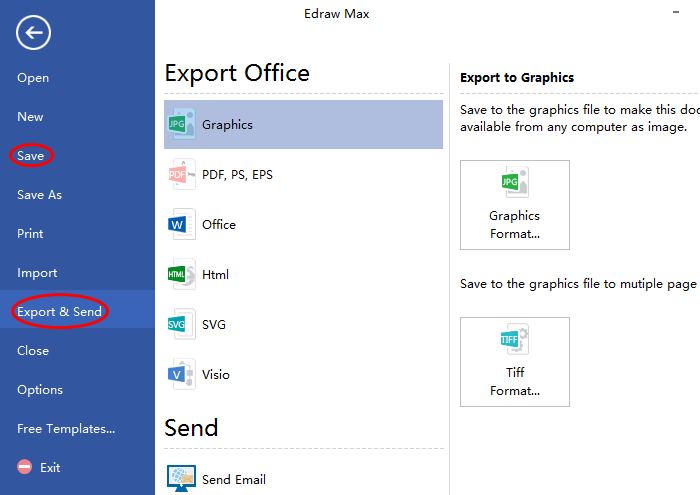 Users are convenient to share their diagram by exporting it to common file formats such as Word, Excel, PPT, PDF, etc. 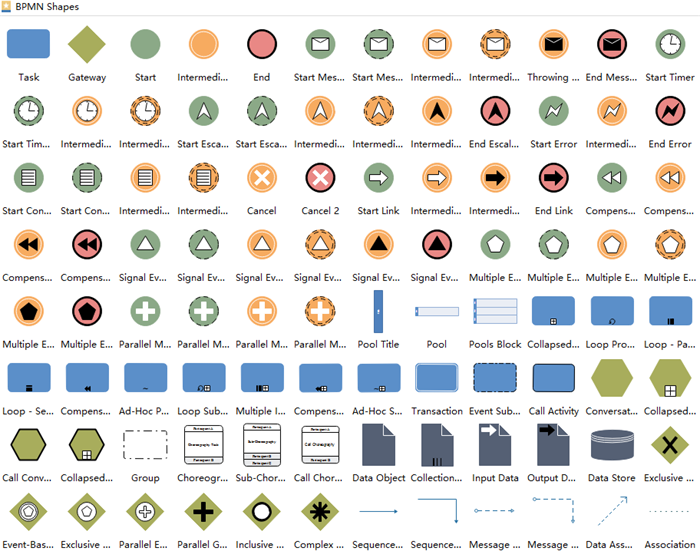 Edraw offers a large quantity of BPMN shapes for users to drag, drop and edit in order to meet different situations. And users are allowed to create their own shapes with embedded drawing tools if they do not like the built-in ones. Follow below simple steps and create your BPMN diagram on Linux with several mouse clicks. Step 2. 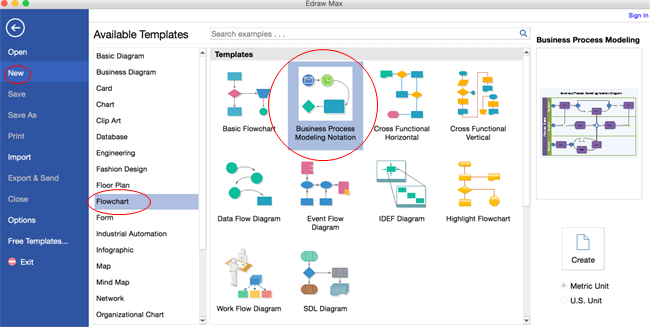 Drag the BPMN shapes you need and drop on the drawing page, edit them to meet your demands. Step 3. Connect them by click the floating buttons automatically or choosing proper connects from Connectors under Home page. Step 4. Add key information by double clicking shapes or clicking Text under Home page to open a text block and add texts. Step 5. Go back to File menu again and click Save on File tab to save the BPMN as default format .eddx, or hit Export & Send to export it to some common formats for sharing conveniently. Following are three amazing BPMN diagram examples created by Linux BPMN diagram software. Free to download, edit, share and print! 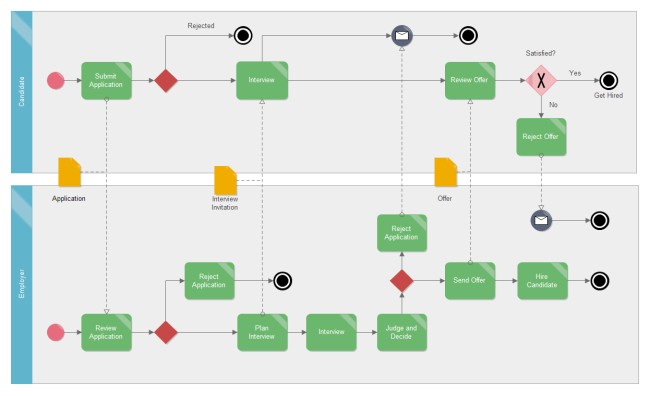 This BPMN example clearly shows the whole process of an employment application from submit an application to hire the candidate. For people who have no idea about how to shop online, this BPMN example will do them a great favor. 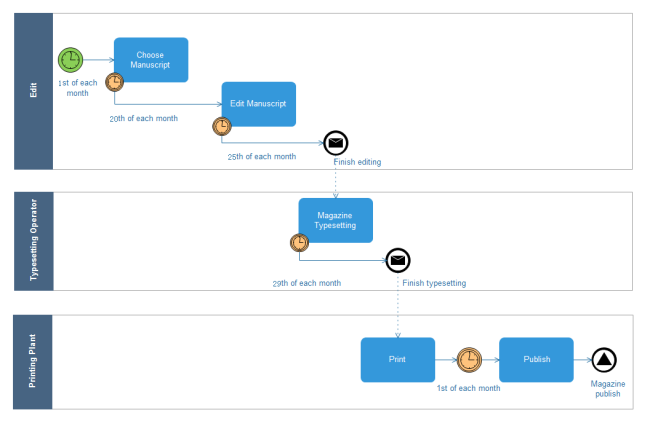 This is a simple BPMN example about how is magazine produced. Welcome to download it if you are planning to produce.